Five Directions Press, 9781947044166, 260pp. In 1908 two Irish American brothers leave their jobs on the docks of Hoboken, New Jersey to make their fortune tapping rubber trees in the South American rainforest. They expect to encounter floods, snakes, malaria, extreme hunger and unfriendly competitors, but nothing prepares them for the psychological hurdles that will befall them. 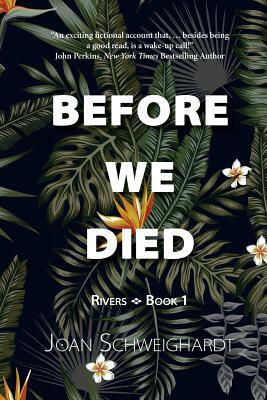 BEFORE WE DIED, the first in a three-book "rivers" series, is a literary adventure novel set against the background of the South American rubber boom, a fascinating but little known historical moment.